Whatever the quantity, Acutrack meets your needs with everything from short run CD Duplication to large run CD Replication. We understand the great amount of time you have spent in creating your content and we can help you decide the best printing and packaging options based on your target audience. We want our customers to always feel that they’ve put their project in the right hands. Whether we choose CD Replication or CD Duplication, we will produce a disc on time and free of any defect. 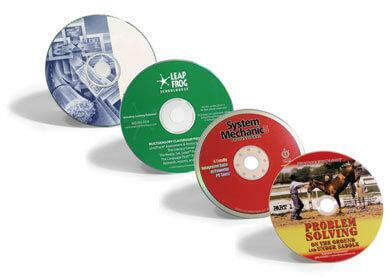 Acutrack offers a wide selection of both generic and custom CD packaging and DVD packaging for your projects. Our custom solutions are eco-friendly, can easily be tailored to your specific application, and will make you stand out. Our focus is on implementation and sustainability.